Our director wanted two sets that he could light as one, saving space on the stage and budget for lighting. The idea was to build a private dance studio set for Cheryl, then remove it to reveal a public dance studio set (Jazzercise). 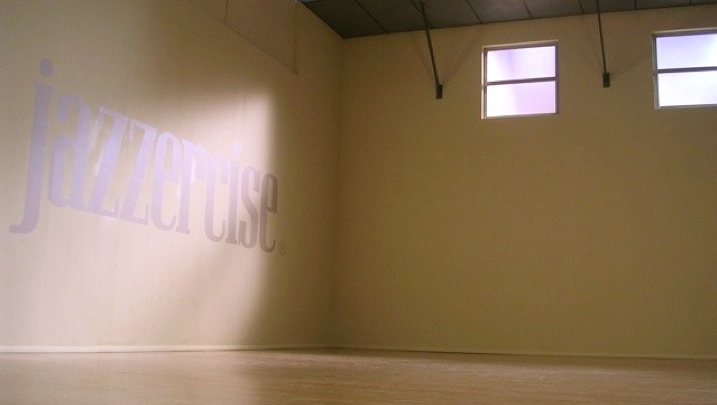 Budget did not allow for us to build two complete sets of walls like the director wanted, so we decided to shoot Cheryl’s set first, using the mirrors to cover the Jazzercise logo, and being careful not to reveal the large windows on the second wall. When that set wrapped we removed the mirrors and light sconces, patched the holes, and brought in a few flying walls. Everything was ready in 15 minutes.